When you are a professional race car driver, and pick a Nissan GT-R, and want some upgrades, where better to turn than Mine's parts? Mine's is well known in Japan and the US for their lightning fast, while looking stock upgrades. 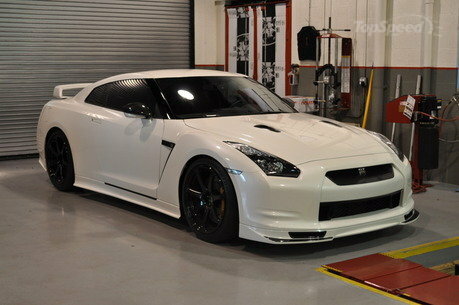 Top Speed posted up pictures and story on Tony Kanaan's GT-R. It has the full Mine's catalog and more. Some go, some show. Head over to Top Speed for the full story.